PowerGame Responsive Blogger Template is an extremely best for Gaming, News and Entertainment sites having elegant and professional look. It offers almost every feature that someone might want in a gaming site or Magazine. It is packed with great qualities such as it is Search Engine Optimized and Adsense Ready having User Friendly Design and suits to Gaming News and reviews or Portfolio websites. 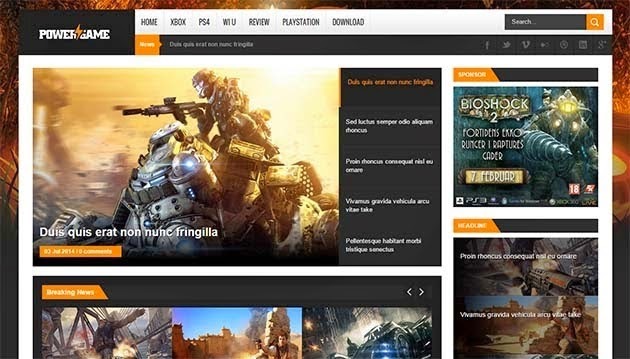 PowerGame Responsive Blogger Template is the best Gaming Blogspot Theme ever which has all required qualities and functions which nearly all kind of users want. It support all screen resolutions and browsers.